Individually Wrapped Coils with Foam Encasement: Premium individually wrapped coils are made from high-carbon tempered steel. Each coil correctly conforms to your body while also reducing potential disturbance from your sleeping partner. 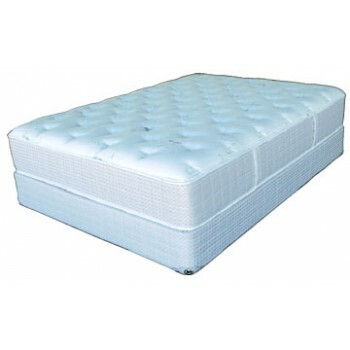 Plus, our advanced foam encased design expands the sleeping surface while eliminating potential edge "roll-off". 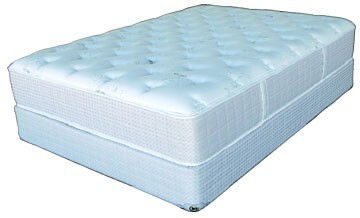 Available in all HGTV Green Home by Serta innerspring mattresses. Soy-Infused Foams: These premium comfort and support materials are made using natural soybean oil. This reduces CO2 emissions and requires less energy during the production process. Plus, our Soy-Infused Foams provide gentle cushioning and enhanced comfort to the mattress. Luxury Fabric with Silk: Every Paula Deen Home by Serta mattress is beautifully tailored and finished with luxury fabric made with silk. Silk's shimmering appearance, soft hand and beautiful drape enhance the feel of the sleep surface. It is one of the strongest natural fibers and the leading luxury fiber in the world. Available in all Paula Deen Home by Serta Specialty mattresses. Body Loft Fiber: Healthy, comfortable sleep. : Trump Home Collection Mattresses by Serta feature Body Loft Fiber, a layer of mattress cushioning fiber that is extremely breathable, providing a pillow-like feel around the body. Body Loft Fiber features Ultra Fresh antimicrobial protection to help keep your mattress cleaner and healthier.